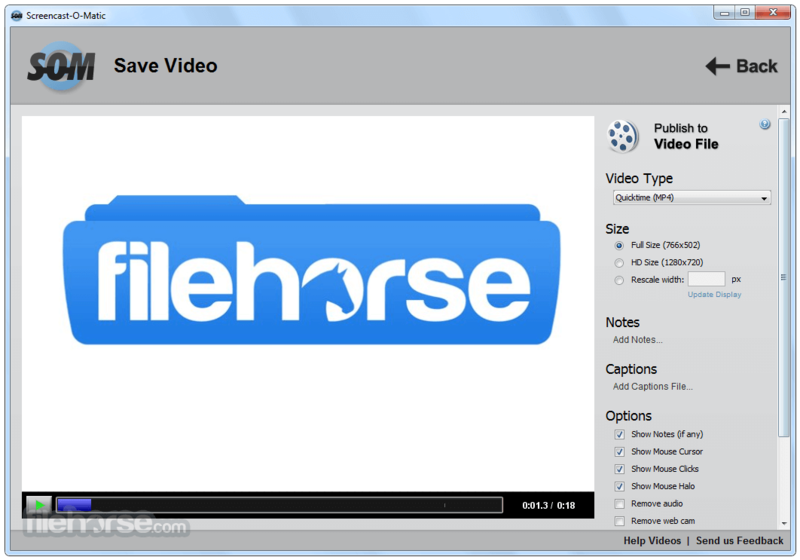 Screencast-O-Matic is a great and easy to use screen recording software. It allows users to quickly access tools for recording still screenshots and videos of your desktop surface, active programs and full-screen applications. This highly popular application comes in two varieties - website Java applet that can be run in any modern browser or a standalone offline application which is available only for Windows users. Both applications have completely same interfaces, feature sets and capabilities, giving users from all around the world ability to easily capture recording of their monitor surfaces without any problems. Download Screencast-O-Matic Offline Installer Setup for Windows. The procedure for creating new video recordings is extremely simple. 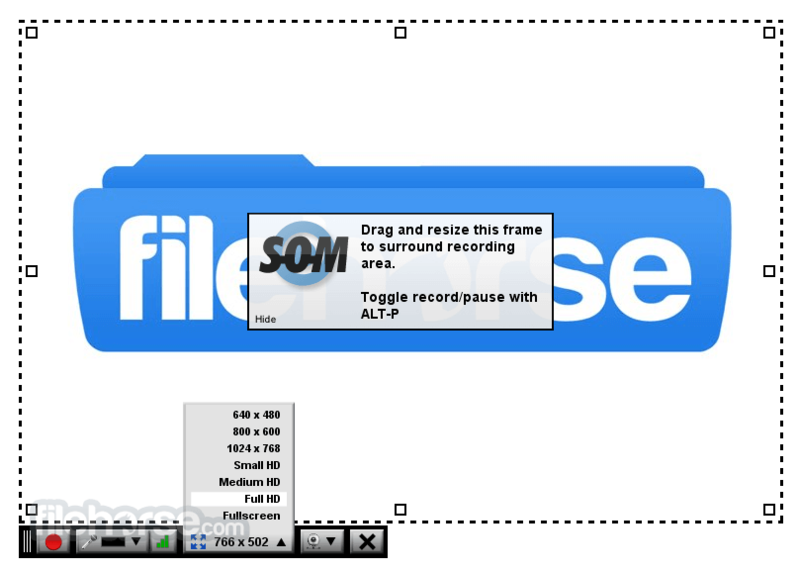 After you fire up Screencast-O-Matic application (which is just a small standalone java application, same as the one you can activate on its website) you are presented with the overlay that holds all the necessary tools for managing size and quality of the recording. 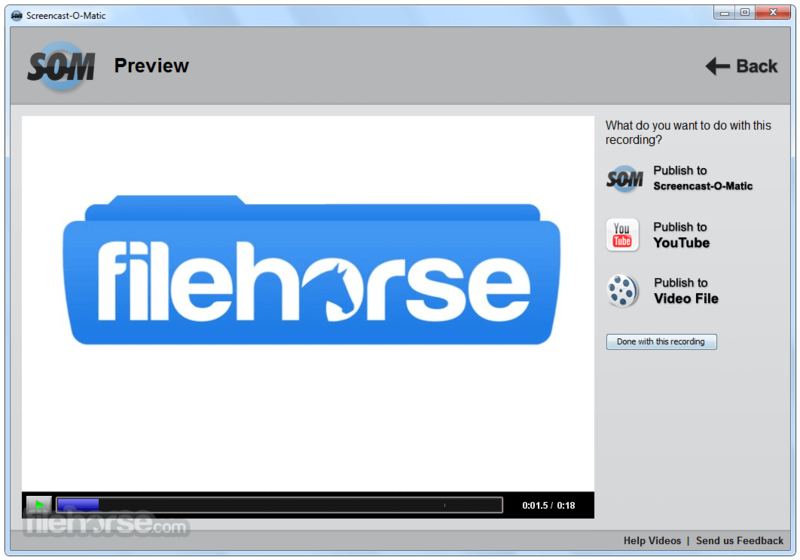 Download Screencast-O-Matic Offline Installer Setup for Windows. Capture area of the application can be set to several presets (640x480, 800x600, and 1024x768) or manually tweaked to your custom size. Recording is done via simple set of Record/Stop buttons, and captured video can be saved in three different ways – directly on your local storage, published on the Screencast-O-Matic online library or published directly to the YouTube. 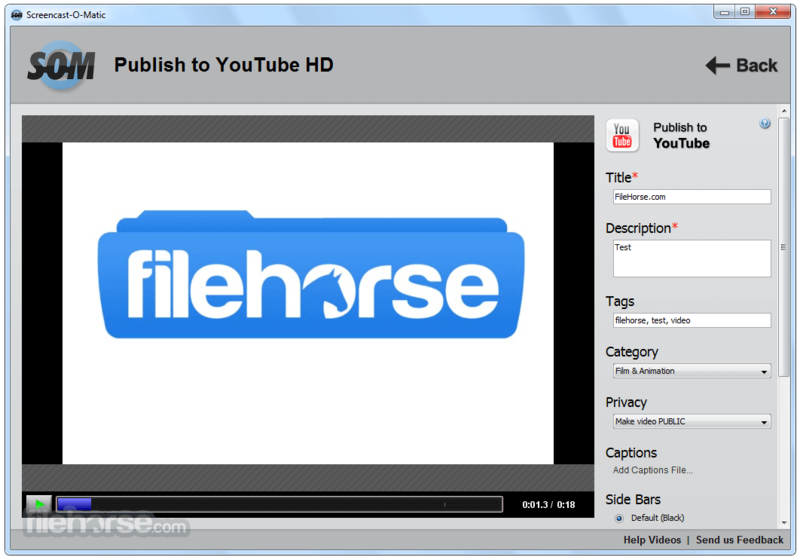 Supported formats for videos are MP4, AVI, FLV and even GIF! Optionally, you can even add your own captions, notes, subtitles, manage appearance of mouse cursors, mouse clicks, microphone audio feed or even webcam feed.